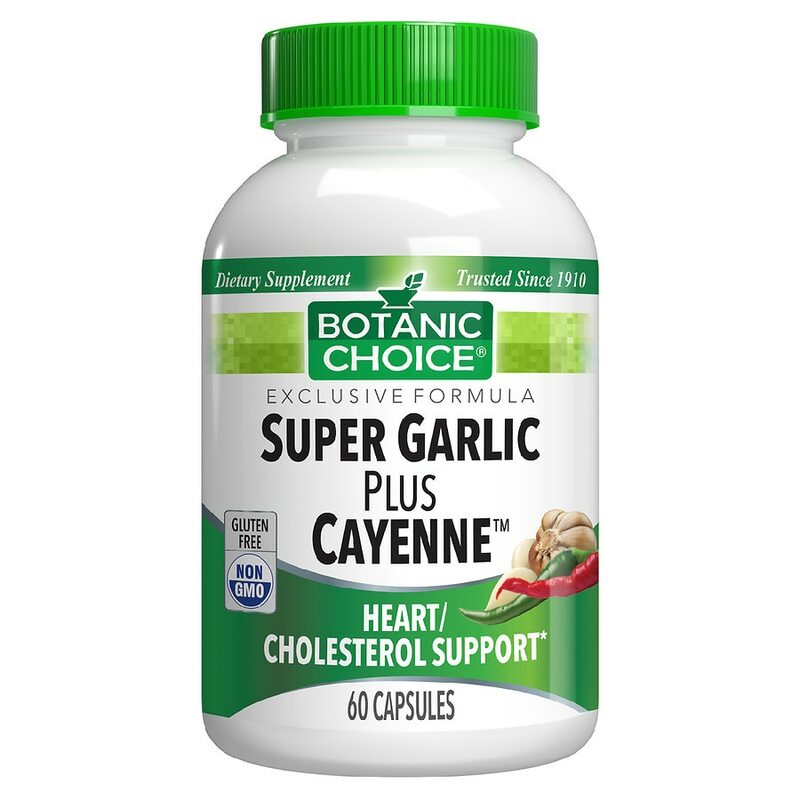 Odor-controlled garlic for cholesterol support: Fire up your cardio with this vitalizing blend. Our time-tested combo starts with 900 mg of odor-controlled garlic for maintaining cholesterol levels already in the normal rage. Garlic has been around since the beginning of recorded time. In fact, it was given to laborers to increase strength and productivity and was thought to be the first "performance enhancing" agent for Greek athletes. Today it is popular for cholesterol and heart health. Cayenne for blood flow: This breakthrough formula also delivers 444 powerful mg of cayenne for healthy circulation and cardiovascular health. Cayenne is a traditional favorite for warming the body and boosting internal energy expenditure. It also plays a role in lipid metabolism and healthy triglycerides. Put this winner to work for you today. Take (2) capsules once daily, with a meal, as a dietary supplement, or as directed by a qualified health care professional. © 2012 Indiana Botanic Gardens, Inc.